I like Monster High Dolls, I really do. I’m not a bit ashamed to admit it. 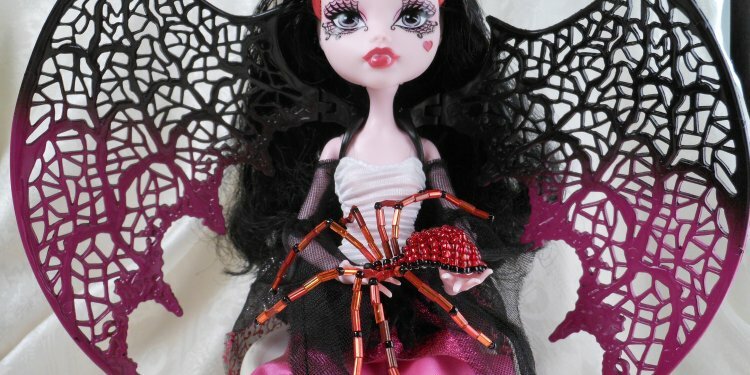 I mean, who wouldn’t like a doll line that spreads a good message and is inspired by classic movie monsters? I have a couple issues with their shape, but that’s another topic for another time. 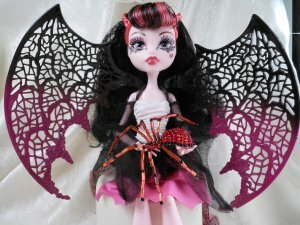 The point is, I think they are super cool because they’re a lot like my Pinup Ghoul series. Kinda like cheesecake retro pinups mixed with monsters. A happy go lucky dark minded guy like me really digs ‘em. Add in the fact that I have some skills at model making and painting, and you have a match made in heaven. Doll collecting is a really old hobby so there should be huge piles of information and tutorials for me to access right? I should be able to find scads of free information about patterns and paints for use on them right? That’s what I thought when I first became infatuated with Monster High. I could not have been more wrong. So why is it that I can’t find what I need? It’s because for some demented reason, people see the need to charge for even the most trivial information that they can possibly capitalize upon. Like if they give the information out for free, they will suddenly stop making any money. What kind of sense does that make? Especially in regards to doll customizing tips and tutorials. I mean it’s not like every person who reads the information will learn how to apply it. Even if they do learn to apply the information, do they have any idea how to actually make money with it? Would they even WANT to make money with the skill, or is it just a hobby that they keep to themselves? And even if they have the knowledge, skill, talent, and business acumen to actually make any money out of it, what makes you think that you are losing out on anything? You should be happy that someone out there made something beautiful and let it loose on the world. You never know, your willingness to share your insight and experience may just inspire the next Rembrandt. You aren’t losing anything by sharing. The competition isn’t stealing from you. Are you that insecure or just arrogant? If you’re so arrogant, why would you think that anyone can equal your skill anyway? Share and we all win. Hoard and we all lose. Your choice.